Nice, isn't it ? Results are really promissing: minimo fits to the environment, scrolls fast and it is now very user friendly. 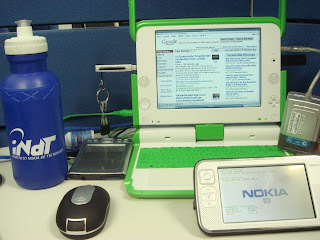 Well, it is basically a raw version on minimo 0.2 (pulled down from MOZILLA_1_8_BRANCH on Mozilla CVS) running on a debian running a OLPC hardware (by francisco keppler).